Unlimited Devotion is one of the nations most popular tributes to The Grateful Dead. 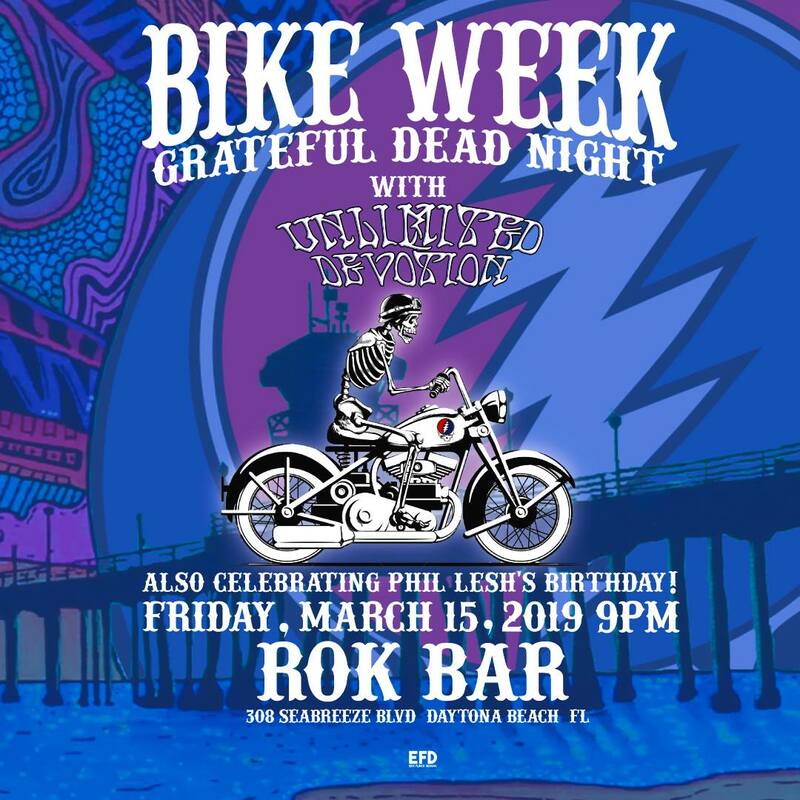 A touring powerhouse throughout Florida and beyond, Their shows are always packed and they deliver a compelling interpretation of the Grateful Dead. They have rock, jazz, and funk influences.. Check out their facebook page! This event will sell out. ONLY 200 presales available and the remaining tickets will be available the evening of the show while supplies last.